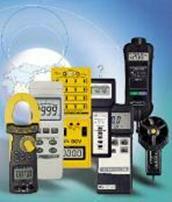 Vibration Meters | Test and Measurement Instruments C.C. Velocity 200 mm/s,Acceleration: 200m/s2, RMS, Record, Peak hold. RS232, Frequency 10Hz— 1kHz,. Sensor has magnetic base. Same as VB8202 with built-in Metric & Imperial Display Unit. Same as VB8200 with built-in Metric & Imperial Display Unit. Vibration instruments are used for measuring, displaying and analyzing vibration. Typically these instruments comprise a transducer, data acquisition and either a local display or some sort of output to a computer or another instrument. Vibration instruments can have many features, including incorporating features such as totalizing, local or remote display and data recording. They may be stationary or else portable field-type instruments. Vibration instruments can accept a number of different types of transducers, including acceleration, linear velocity, proximity and displacement, rotary velocity and temperature. In addition, many vibration instruments can take generic signal inputs, including voltage, current, frequency and serial inputs. Some of these instruments can even accept wireless data transmissions. Four main features must be considered when selecting vibration instruments: number of channels, accuracy, sampling frequency and ambient conditions. The accuracy is usually measured as a percentage of the full scale of measurement, so an accuracy specification may be something like 5% or 10% instead of a hard number or range of values. Sampling frequency is how often the vibration instruments take readings from the sensors and should not be confused with measuring ranges of the sensors themselves. For ambient conditions, such things as temperature should be considered, as well as the maximum shock and vibration the vibration instruments will be able to handle. This is the rating of how much abuse the devices can stand before it stops performing, much different from how much shock or vibration the vibration instruments can measure. Electrical output options depend on the system being used with the vibration instruments. Common analog options are voltage, current or frequency. Digital output choices are the standard parallel and serial signals. 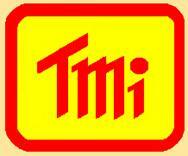 Another option is to use vibration instruments with an output of a change in state of switches or alarms. Two further output options are important to consider. Vibration instruments can often output velocity or displacement values as well as standard vibration readings. The user interface can be as simple as an analog readout or as complex as an actual computer. Vibration instruments can be operated either manually or via a host computer, can have software support for computer interfacing, and can even have hard drives, removable media or nonvolatile memory options. As a complicated piece of equipment, vibration instruments can come with lots of other options that enhance their functionality or usability. Some of these are event triggering, self-calibration, self-test, built-in filters, and even capability to withstand extreme environments, such as those with excessive heat, moisture or dust. Vibration Meters, Dual Display - Value and Spectrum. 7231-Strong Vibration Signal with Lo Sensitivity Probe, 7232 For Weak Vibration Signals. Large Memory. Vibration Meter. Vel: 200 mm/s,Acc: 200m/s2, RMS, Data hold, Record, Peak hold. Frequency 10Hz— 1kHz,. Sensor has magnetic base, Metric/ Imperial Display.